Ralf Herrtwich has published the conference proceedings containing presentations given at several events organized by the Munich Circle. The 247-pages book (ISBN 978-3-7785-4050-3) was printed by Huethig publishing house. The authors do not discuss in-vehicle networks in detail but external communication in order to navigate the car. 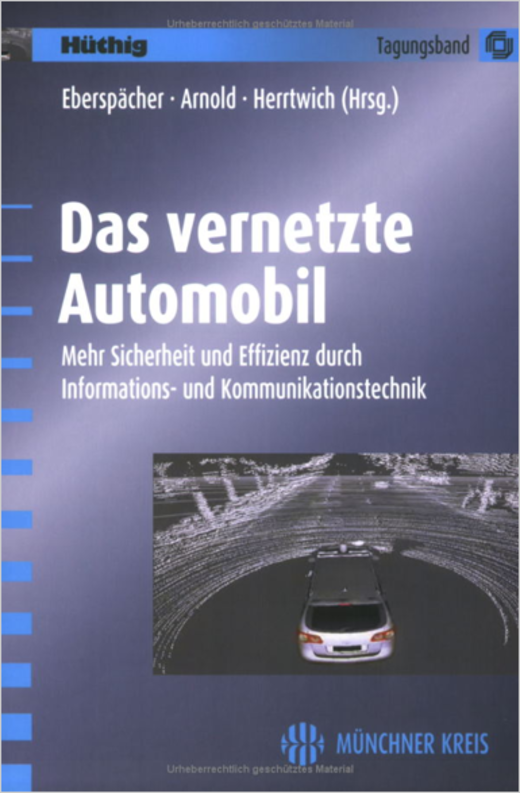 The book is dedicated to achieve more safety and efficiency in cars using the information and communication techniques.